Kalyana Mantapas in Bangalore are highly sought after and very popular for its traditional approach to weddings. If you are looking for truly glorious Bengaluru Mantapas with humble interiors for celebrating your wedding day, you have come to the right place. Here is the list of few wedding venues that are unique and offer the perfect ambiance for all your functions. Ganjam Kalyana Mantapa has an old world charm and a rustic feeling; perfect to make your functions different from the usual marriage hall ceremonies. With a touch of sophistication, it has an intimate atmosphere and accommodates around 400 people. The venue provides appetizing delicacies and alluring decorations that will make your functions memorable. Arunodaya Kalyana Mantapa is a popular wedding hall in Bangalore. It has around 11 rooms to accommodate your guests for special events and is capacious enough for an elegant affair. It is simply a perfect place for all religious functions like marriage, engagement, reception and other occasions. Sumptuous and elegant, it has spacious interiors and modern infrastructure for your convenience. Host the wedding of your dreams and ensure you create memories for years to come. The perfect choice for an intimate feel, this spacious mandapa offers nothing but the best. The MTB Subha Meru Kalyana Mantapa is suitable for a grand jayamala ceremony and offers capacious indoor spaces. Offering delicious cuisines, this marriage mantapa has décor that will leave you with a warm, homely feeling. One of the best venues for reception or pre-wedding functions, the Sri Shiva Prabha Kalyana Mantapa is located in the heart of city. With skilled catering services and decor teams, it ensures that your celebrations reach a notch higher. This mandapa is the perfect blend of cultures and modernism to ensure maximum convenience. Providing the opportunity to host your memorable day in a classic style, this mantapa will make your wedding day more than special. You could customize your package and pick outside caterers that serve delicacies to your guests. This venue offers two complimentary rooms to the bride and groom, ensuring they get dressed up comfortably. What better way to host a traditional marriage ceremony than the Siddhartha Kalyana Mantapa & Convention Center? Equipped with a roomy hall with granite flooring and beautiful décor, it is the perfect host for a grand affair. With a spacious and elevated stage, it ensures your Jayamala ceremony gets etched in your memory forever. You can expect comfortable rooms that are provided to outstation guests on a complimentary basis. With classic interiors, this venue is perfect for pre-wedding functions like engagement ceremonies or haldi-mehendi functions. You can also get your own caterers and ensure that your guests get the best delicacies and experience. The venue is available round the clock to host multiple functions with ease. Situated close to Dadda Ganesh Temple, it is easily accessible via road. 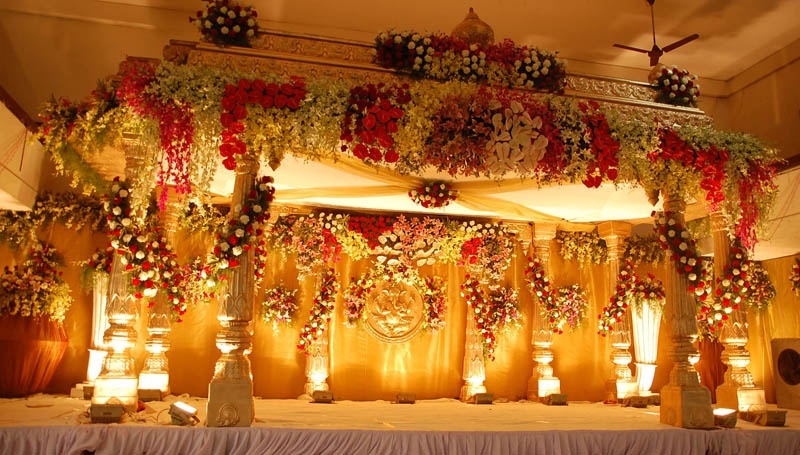 One of the most popular Bangalore mandapams, this venue is spacious and offers alluring decorations for your weddings. A great place to host both pre-wedding and wedding ceremonies; it offers 11 complimentary rooms for the guests for accommodation and also the bride and groom. Located near KLE College, it is a convenient location to make your dream wedding come true. One of the renowned wedding halls located at Rajaji Nagar Industrial Town, Nagadevaki Palace is well equipped for 300 guests. It offers 16 rooms for accommodating your guests for your wedding. Perfect for functions like marriage, engagement, reception and other occasions, it also offers sumptuous meal options to satiate your taste buds. With a dining area well equipped for 200 guests, Mangala Kalyana Mantapa is capacious and simply the perfect place for all religious and wedding functions. It offers crisp services and ensures that offers nothing but the best. If you are looking for something simple yet appealing for your wedding ceremony, this is the right choice. You can expect warm hospitality and appealing décor for your wedding ceremony.